Enjoy your old videos on DVD, Laptop, Tablet, TV or Smartphone! 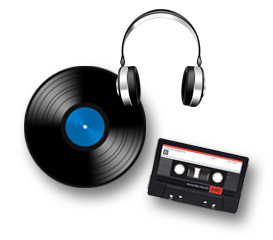 Convert your old video tapes into a digital format for use on mobile phones, laptops, DVD players, desktop computer, smart TV or an external hard drive. 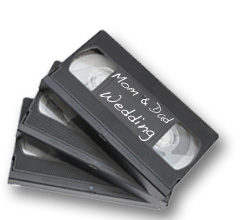 Video tapes degrade of the years and will become unwatchable. VHS, VHS-C, Video 8, mini DV tapes can all be saved to digital files for safe keeping. use our professional video editing service. Call (001) 506 396 2591 or send an online message from the Contact Page. Convert your photos, slides or old negatives into digital formats that can be used for prints or viewed on your computer or television/ DVD player. You can also use these formats to have your photos professionally printed or published to one of many social networking sites available today. Photo restoration service available for old & damaged images. Slide shows made for use on computer or DVD player. Photo Gallery web sites to share images over the internet. Save your photographs in a digital format for easy retrieval and printing. Put images and slide shows on portable devices (iPods etc.). for portability and ease of use anywhere. We will scan your documents and convert them into a secure file format. Make digital copies of important documents and certificates so they can be safely stored in a digital format. On-site scanning service is available. Save your precious memories forever with a digital back-up ! Inquiries and all services provided are Private and Confidential.